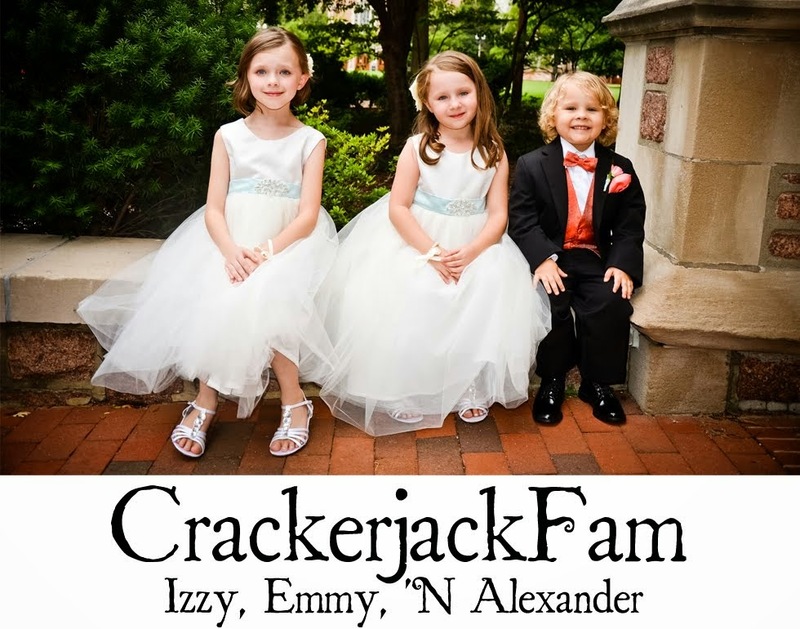 Izzy, Emmy 'N Alexander: I Write A Blog? Oh, yeah, so I do. Well, I have been a bit overwhelmed lately, but I'll be back soon. There is so much to share and so many of you that I need to visit! First steps and pooping in the potty? Sounds like your have some good moments! I so need to start Carson on potty training. He wants to take off his diaper and sit on the toilet but hasn't done anything yet. He is just now starting to tell me that he has "wet britches", so I guess I'm getting closer. I just went to Wal-Mart last night to buy diapers and I bought 68 for $20.00. I think they are putting less and less in each box. Carson's going to have to get on board real soon I think. Anyways, hope you have a great day. YEA!!!! Poopies in the potty. Doesn't get much better then that : ). I bet she is really proud of herself, as she should be. Well, Nate just had his first with Kaden too. I worked late tonight so Nate put Kaden to bed by himself and then jumped in the shower. He heard Kaden making different noises while he was showering and told him to wait just a second (thinking that he just wanted some attention or wondering were mommy was). He gets in there and has managed to take his diaper off and had it over his head (no thanks to mommy making diaper hats). He has never taken his diaper off by himself before. He said luckily he didn't use the bathroom in his diaper or on the bed...whew, I just washed those sheets yesterday. I guess it is time to start trying the potty again. Well, I have been checking on you guys (daily, I must admit). I am glad things are going well. Can't wait to read more. Wow, way to go Izabel and Emmy!